If you own a business, you know just how vital proper insurance is to safe and successful day-to-day operations. Having the right coverage means you can run your business confidently and without fear that you will be left liable due to unforeseen circumstances. Insurance policies can be complex- if you are confused, continue reading for ARC’s guide to business coverage. As there are countless types of businesses, there are just as many variations on insurance policies to protect them. The following list is a summary of some of these coverages and is by no means comprehensive- if you want full details of business insurance options, contact an ARC representative today! Vital employee, partner or owner coverage includes protection for critical illness, disability and other losses of productivity for the most important members of a business team. As well, this type of coverage may allow partners to have the first opportunity to purchase back shares if one passes away. Revenue, accounts receivable and premises coverage means any vehicle, property or assets used for business is insured in case of damage, theft or other loss. Also, business interruption protection means your loss of productivity or earnings will be covered by your insurer- as well, accounts receivable insurance protects you against clients that cannot pay what they owe. Liability and health coverage is very basic yet extremely essential insurance for businesses of any size. 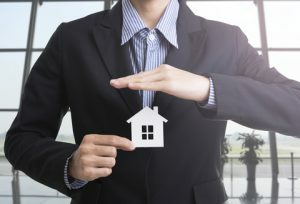 Liability protection means you are covered in case of injury or loss to clients and employees on your property, due to defective product or due to professional negligence. Health insurance simply means your employees are happier, more productive and more likely to be recruited or stay long-term. As you can see from the sampling above, business insurance is fairly universal. With different sized business, insurers simply scale the dollar amount covered by the policy to the needs of each client. If you need assistance in choosing the right insurance for your business- whether small, large or anything in between- contact the professionals here at ARC Insurance!